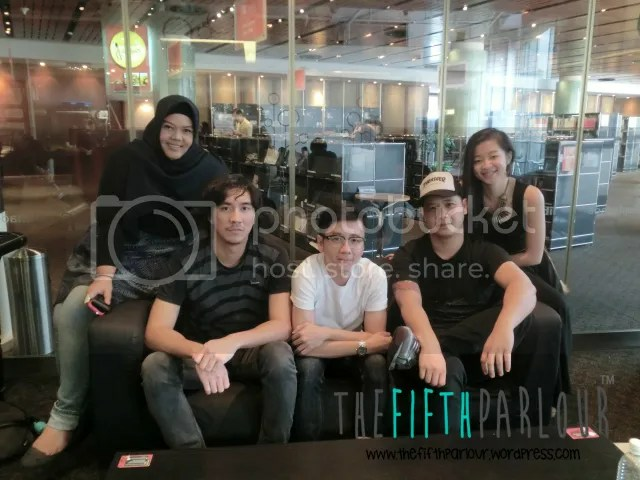 The Fifth Parlour was given the honour of interviewing our very own local band, Electrico. Formed in 1996, the band began as a five-piece but is now currently a three-piece and stronger as a band than ever. When asked what the major difference was between now and then, they felt that there’s better communication and their chemistry have solidified. David, Desmond, and William admit that there’s more freedom in songwriting and easier to bounce ideas off of each other. And as a band, they have learnt that they can agree to disagree. It’s been a while since we saw Electrico doing the music rounds at our local music festivals. They managed to travel and tour around the world (Australia, Phillippines, Thailand, Taiwan, Malaysia, and Indonesia) right before taking a short break within the past five years. Doing what Desmond calls “the Singapore life”, the break saw the guys building a family, career changes, and getting in touch with themselves. Dave admitted that he needed the last three years to regroup and regain himself. With the struggles that we know local bands face, Electrico of course piqued our curiosity as to what is their winning formula to be able to stay in the music industry all this while? The guys stated it matter-of-factly that there are no secret formulas. Good ol’ hardwork and passion. Desmond and Dave mentioned that when you are passionate about what you do, it will show in everything that you do and the audience will be able to see, and feel it. Listing alternative, classical jazz, soul and pop as their main musical influences, their taste in music spreads right across the board. Just like us, Electrico are music lovers. Their main influences that they could recall off the top of their heads are Nirvana, The Beatles, Radiohead, Oasis, Coldplay, Blur, Led Zeppelin and a handful more of Britpop bands. William: He absolutely loves traveling and would love to go to the UK one fine day. Desmond: He is a sneakers freak. To him, his sneakers are equivalent to ladies’ leather designer handbags. e) And if they can, tour even if you lose money. The experience gained would be priceless. With the ever-changing landscape in the music industry, the guys felt that releasing an album is not exactly a necessity. There are better means of reaching out to the masses and to their fans. They are planning to release a single soon, an EP or digital release by the end of 2013. We are definitely looking forward to that! The Fifth Parlour would like to thank Electrico and their management for this opportunity.